Restoration Robotics has launched a robotic intelligent system that offers precise, minimally invasive, repeatable hair harvesting and implantation uses in one platform. 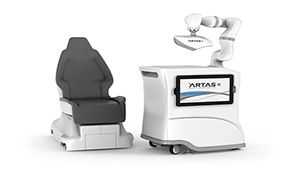 The Artas iX robotic hair restoration system has a 3-camera stereoscopic vision system with 44-micron resolution and a 7-axis robot. It has a compact, motorized, battery-powered, portable and adjustable procedure chair for increased patient comfort and clinical versatility that can be used ergonomically in multiple aesthetic procedures. Restoration Robotics (San Jose, Calif.) designed the new system to deliver high-quality procedural analysis, precision, repeatability, and clinical workflow efficiency for hair restoration. It will reduce the more labor-intensive aspects of hair restoration procedures as well as clinical fatigue and case time, according to Robert M. Bernstein, MD, clinical professor of dermatology at the College of Physicians and Surgeons of Columbia University and founder of a hair transplant facility in New York City. About 1.2 million men worldwide have hereditary baldness, Rhodes said at The Aesthetic Show 2018 in Las Vegas where the Artas iX system made its debut last week. The company has been pioneering robotic hair restoration for more than a decade, according to the company’s chief operations officer, Gabe Zingaretti. Its Artas system is the first and only physician-assisted system to dissect and assist in the harvesting of follicular units directly from the scalp, create recipient implant sites using proprietary algorithms and now implant the hair follicles into the designated sites. Artas iX is the culmination of more than three years of research and development, Zingaretti said. 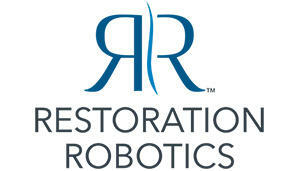 Co-founded by surgical robotics pioneer Fred Moll, Restoration Robotics went public in October 2017. The Artas system received FDA 510(k) approval in 2011 after providing results from clinical studies that showed the system to be safe and effective. Don’t Miss the Most Anticipated Conference of the Fall! DeviceTalks Boston is just a few months away. More than 50 speakers and 35 exhibitors will join over 400 members of this red-hot industry, for a look inside the most important developments facing our community.